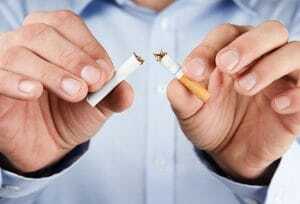 Are smoking rates in decline? Yes, providing you live in a wealthy nation. While in the western world the trend over the last decade has been a reduction in smoking rates — often through government policies dissuading people from taking up the habit — a number of developing nations are seeing a sharp rise in the number of people smoking. Those taking up smoking may be condemning the health of future generations in developing countries according to new scientific evidence based on epigenetics. Modern studies are revealing that genetic changes that result from damage caused by the smoke may be passed onto future generations. Some of these nations have seen those over the age of 15 smoking increase by an additional 15 percent of the population. Between 2000 and 2015, the following countries have seen a large scale increase: Bahrain, Cameroon, Congo, Croatia, Indonesia, Jordan, Lebanon, Mali and Nigeria. A comparison of the proportion of the population that smokes makes these figures more alarming. Both the Congo and Cameroon saw just over five percent of their population smoking in 2000, by 2015 both countries now have between 20 and 25 percent of their population taking on the habit. This is a four fold increase, implying there must be some reason behind such a rapid and significant increase. The Financial Times suggests that while in western nations government regulations have improved, markedly increasing the price of cigarettes, the rising middle class in low to middle income economies has made cigarettes more widely affordable in those countries. A number of policies of developed nations have taken their toll on the tobacco industry’s profits. It is perhaps this reason that industry lobbying efforts have taken to lower income countries where such tight regulations do not exist. By driving up sales figures in developing economies the lack of profits elsewhere can be offset. The EU for example has 17 countries that have put in place comprehensive smoke-free laws. These include a ban on smoking in enclosed public spaces, on public transport, and in working environments. For many of these countries, such as the UK, these bans have been in place for a lengthy period of time — a decade as of July 2017. Bans such as these have no doubt driven down the profits of the tobacco industry, as smoking in places such as pubs had long been common in British culture. The US has similar bans in place, though not nationwide. Bans on smoking in public places are largely determined on a state-by-state basis, with 25 states currently enforcing the ban. In states that have not established laws to this effect across the entire state, it is common to find towns and cities that have also put in place smoke-free laws. In Japan, there are calls for the country to enforce similar indoor smoking bans in time for the 2020 Tokyo olympics. These suggestions are being met by heavy opposition from the country’s tobacco lobbying groups as this would bring down the number of smokers in the country even further. Currently the reduction in percentage of population smoking shows a polar opposite to the increase in poorer nations. Between 2003 and 2015 the percentage of smokers in Japan fell from 27.7% to 18.2%. Russia has considered a far more extreme measure to eventually phase out smoking from the population entirely. The proposal by the Russian Health Ministry would see a total ban on smoking for those born in 2014 or later, even after they reach adulthood. Even upon reaching an age where purchasing cigarettes would be legal, the younger generation would still be unable to buy them. This would mean that at some point in the future, smoking would effectively be entirely banned in Russia. From a tobacco company’s perspective the developed world is not only becoming less profitable through reduced numbers of smokers, but openly hostile to tobacco through restrictive legislation. It is little wonder then that they seek profits elsewhere. According to the World Health Organization (WHO) around 80 percent of the world’s 1 billion smokers live in low to middle income countries. Due to decreases in the number of smokers in the western world, there is now a campaign by the tobacco industry to establish a new generation of smokers in developing economies. Tobacco is a product of the New World, and was not used in Europe, Africa or Asia until trade links were established with the Americas. Due to this, there is not a strong historical link to smoking in Africa. As such the numbers of those smoking in African nations has remained relatively low as it has typically been restricted to those with disposable income. In the modern day this is changing. There is a growing middle class in a number of African nations and more people are able to afford the tobacco products often grown within Africa. Tobacco farmers in Malawi — a country where tobacco represents 14 percent of total GDP — are faced with the issue that tobacco profits are falling. As a result the companies that buy their tobacco crop are reducing their buying prices. Malawi’s President Peter Mutharika has “vowed that his country will never bow to the anti-smoking lobby”. Other governments are also stepping in to protect a portion of their economy from sinking. Similar lawsuits were filed against Uruguay for health warnings on packages. Uruguay won but many poorer nations will be unable to mount an expensive legal defense against such a lawsuit, and so putting in place similar legislation would be far more difficult. The number of people smoking in developing nations is increasing at an alarming rate and many poorer countries may not have adequate facilities to deal with the medical issues caused by tobacco consumption. These nations have healthcare systems that are already stretched out dealing with conditions such as HIV and malaria. To add the further burden of a heightened risk of lung cancer, stroke, heart attack, emphysema and other smoking related diseases to these countries may well completely overwhelm their hospitals and reduce their care capacity for other diseases. 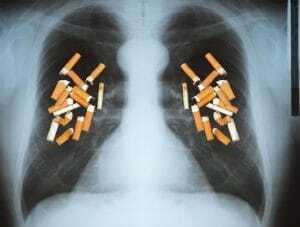 Lung cancer has long been associated with tobacco use; it is at this point a well documented phenomenon. Tobacco use from an early age is a huge concern as it presents additional complications if smoked during young age or puberty. Lung capacity can be permanently reduced due to damaged growth. Issues with faster heart rates may also be present. In Africa, where tobacco advertising is far less restricted than in western nations, it is feared that increased numbers of young people are taking up the habit. In more recent years science has uncovered a potentially more long term implications of smoking. Epigenetics — the study of the way environmental factors affect gene expression through chemical regulation of DNA structure — has revealed that smoking causes permanent changes to gene expression, even after a person stops smoking. While it was already known that smoking during pregnancy could cause health issues with the child, transgenerational inheritance (the concept that epigenetic changes to DNA can be inherited) suggests that any epigenetic changes accumulated before the pregnancy could be passed on to the child. Smoking may permanently increase the risk of certain cancers in a smoker’s children, and grandchildren. This makes a trend of increased smoking rates in developed nations, particularly amongst the young, a long term and dangerous issue. While the developed world sees yearly decreases in smoking numbers, the world’s poor are being increasingly exposed to the risks of smoking for the sake of the industry’s profits.